Samford University’s School of the Arts hosts violinist Tami Lee Hughes and pianist Byron Burford-Phearse and the presentation of The Legacy Show, Oct. 17 at 7:30 p.m. in Brock Recital Hall. The Legacy Show is a multimedia concert of music by African-American composers performed by Hughes and Burford-Phearse. The Legacy Show is open to the public and admission is free. There will be a short “talk-back” discussion with the artists following the concert. The program features classical music infused with a variety of styles including spirituals, blues, gospel, hip-hop, and jazz. Portraying cultural themes of the Antebellum Period, the Harlem Renaissance, the Civil Rights Era, and Modern Times, the program shares poetry and visual media. Notable artists whose works will be highlighted include Maya Angelou, Langston Hughes, Duke Ellington and Kerwin Young. 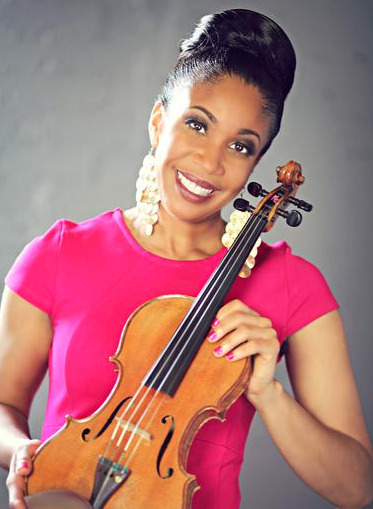 Hughes will also conduct a master class with string students while on campus. Guest artists fill the stages of Samford Arts throughout the year, exposing students to performers and their stories. Master classes and guest instruction enhance the curriculum and are an integral part of the School of the Arts experience. For more information visit www.samford.edu/arts/events.